This guy really needs to step down. 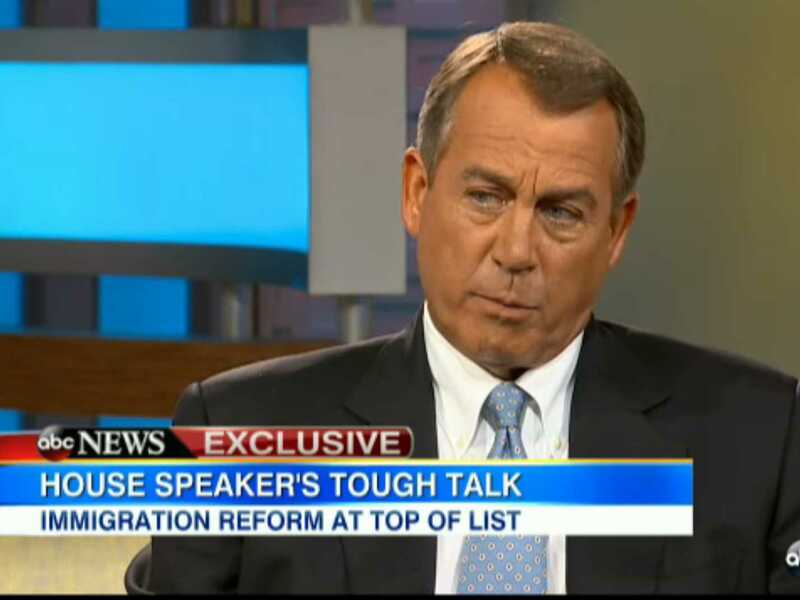 There is a report out this week that Speaker Boehner will push amnesty after the GOP primaries are over. If this is true, Boehner needs to go. Little comes easier to a skilled speaker than clarity; clarity makes up much of the “skilled” qualifier. Politicians require the ability, and generally have the personality type that draws one to public speaking. Ironically, these facts produce a wonderfully useful corollary: If a politician’s statements leave you unsure of his stance on an issue, you can be sure he opposes the popular stance of his electorate. Last week, the Wall Street Journal reported that Boehner, while speaking to donors in Las Vegas recently, said he is “hellbent” on passing immigration reform “this year.” A lot of Republicans concluded that when Boehner is speaking to jittery members, his message is: Relax, nothing’s going to happen. When he’s speaking to fat cats, the message is: We’ll get it done. The reassurance didn’t reassure. Team Boehner’s response was “the ultimate non-sequitur,” in the words of one Senate GOP aide involved in the immigration battle.